In an effort to attract the economy-segment buyer, Suzuki has come up with Heat 125cc, which has good pick-up especially in the first and second gears. The bike is highly manageable with the light weight. Moreover, it has wider surface for superb carrying capacity and long seat for minimum knee bending and easy ground access. The extra weights at handle bar leaves less scope for vibrations. Suzuki Heat is a sure hit among the middle-class buyers. Suzuki Heat has a single cylinder, four-stroke engine that delivers a displacement of 124 cc with the peak power of 8.7 bhp. 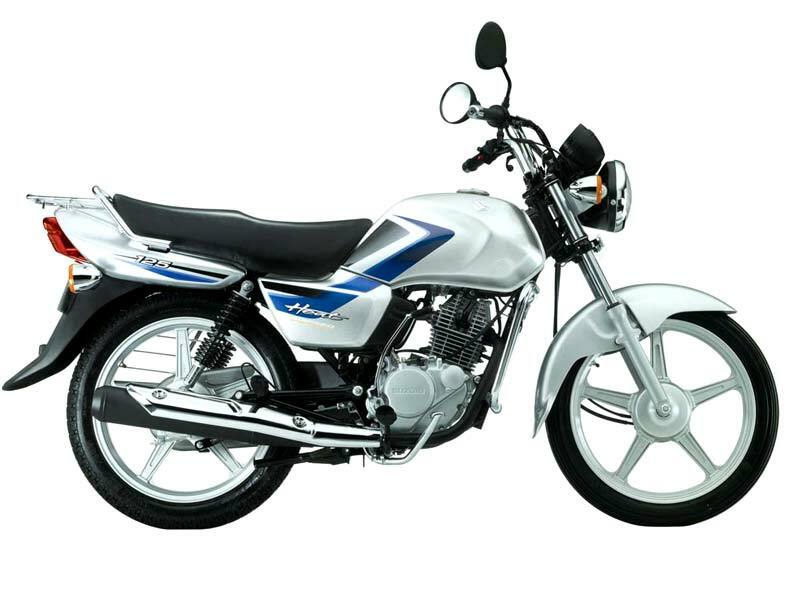 The bike has a robust all aluminum engine, having large fins and upright cylinder for superb cooling and style. Advanced Gearbox and Gearshift Pedal ensure smooth and convenient ride. 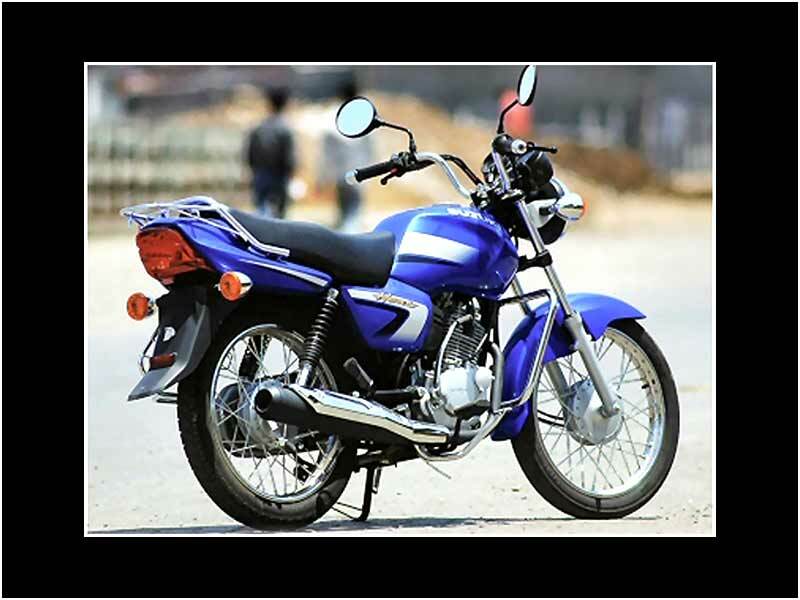 Employed with indigenous Suzuki technology, Suzuki Heat is set in two variants - Suzuki Heat 125 and Suzuki Heat Alloy, which offer superb performance, excellent pick-up and effective fuel-efficiency. Features of both the models are same exclusive of the alloy wheels. Flashy decals and stylish graphics run the length of the bike adding style. Multi-reflector headlamp enhances visibility and renders trouble free night ride. The flamboyant alloy wheels give a standard contemporary look to the bike. The stylish eco ranged speedometer, fuel gauge and fuel tank lend a complete look of the Heat. Safety features incorporated in the Heat include asbestos-free brake shoe and bigger drum for instant braking, multi reflector head lamp and the like. 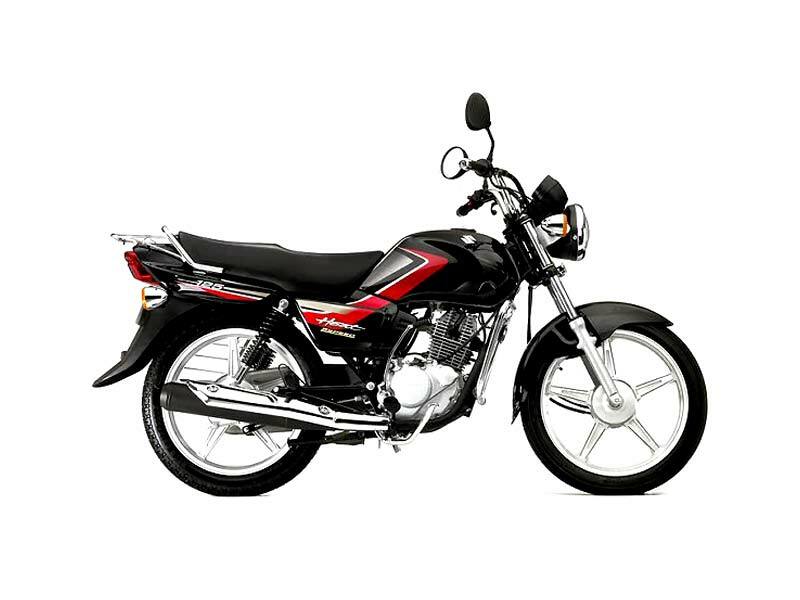 Other features like long seating arrangement, extra weight at handle bar for less vibration, 5- gear 'Seesaw' type pedal for convenient riding, wider carriage space, stylish muffler with heat shield, eco-ranged speedometer and fuel gauge contribute to the comfort qualities of the bike. Asbestos-free brake shoes and bigger drums are equipped for instant braking. Primary Kick and Auto-Decompression System start the engine at any gear. On the suspension aspect, telescopic coil springs perform at the front while the rear suspension is taken care by swing-arm type coil springs. The seats are ergonomically designed for easy ground access and minimum knee bending. Striking looks and superb performance make Suzuki Heat an ideal bike. It gives a mileage of 65-68 kmpl. Suzuki Heat is available in 4 different colours: Candy Antares Red, Pearl Nebular Black, Pearl Suzuki Blue & Metallic Sonic Silver.